One Niche Mural: approx. size: w36"x h4'4"
Two Wall Sconce Murals: approx. 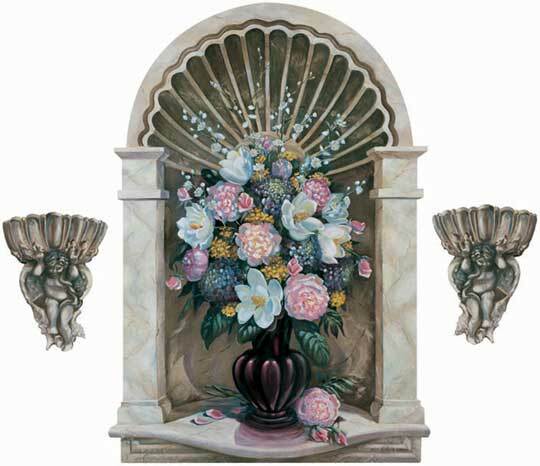 size: w12"x h18"
Add classical charm to your decor with this trompe l'oeil (deceive the eye) marble wall niche with a beautiful flower arrangement. The mural will add depth, texture and interest to your wall without the hassle and expense of installing a real niche if you could even find one this pretty! 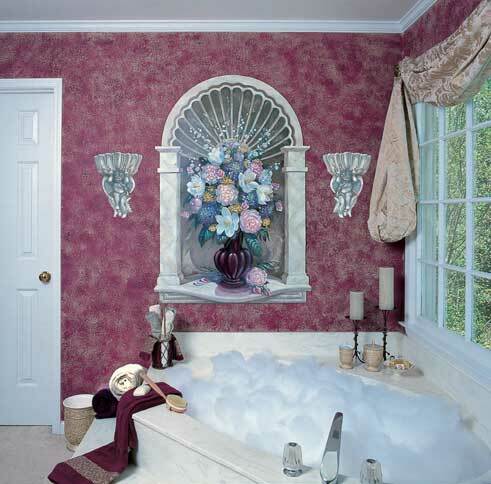 In addition to the elegant main mural, two wall sconces of cherubs and shells are included . Many decorating ideas are contained in the Creative Idea sheet that is included with each mural.